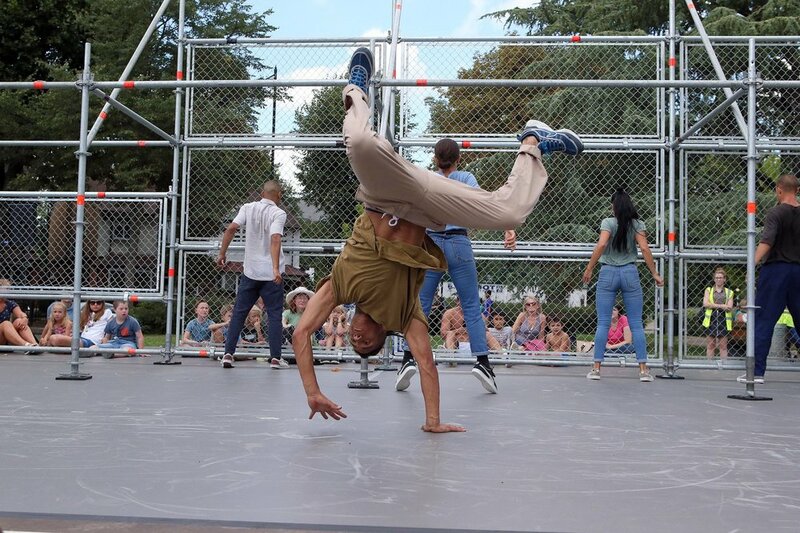 Cie Dyptik’s fun and energetic dance performance, D-Construction, was performed at all four Circulate locations in 2018. In the middle of the space a huge and striking metal structure created a playground, prison, and a place of expression that both protected and exposed the performers. Six dancers experienced liberation through movement, merging into a group to create a stronger entity, and then breaking apart to assert their uniqueness. 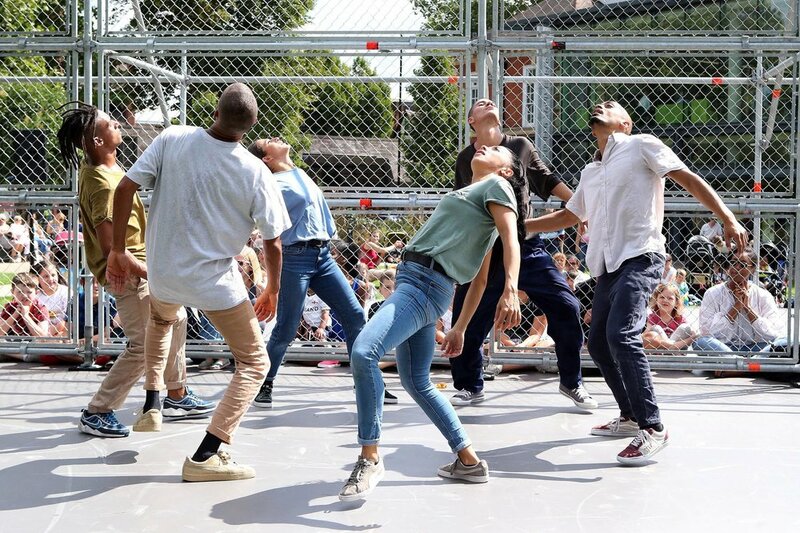 Circulate audiences loved this hip-hop extravaganza with an infectious beat, becoming part of the action themselves as they were invited to sit up-close to the scaffolding, watching the dancers interact with the structure as it caged, protected, and freed them all at the very same time!